Fishing Rods, Push Rods, Glow Rods, or Pull Rods whatever you call them they are an essential tool for any cabling job. 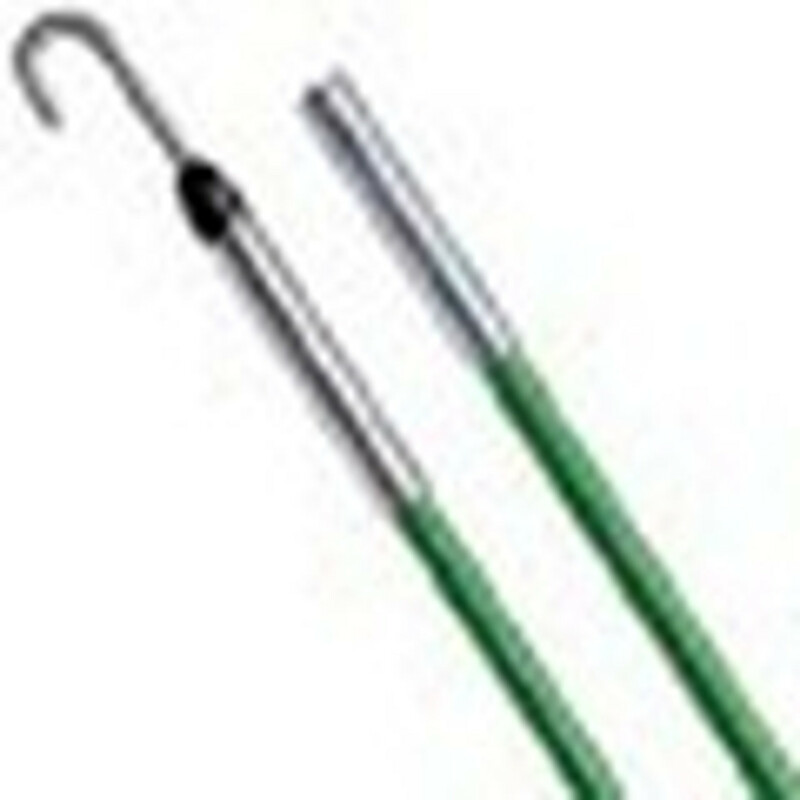 Fish rods are made out fiberglass so they’re non-conductive and flex easily to accommodate most cable drops. The most common use for fish rods is fishing a wall that doesn’t have a conduit. Whether there is insulation in the wall or not just push the rod up from the bottom of the wall to the top until it can be seen sticking out of the top of the drywall. Because the rods glow in the dark it should be easy to locate the rod in the ceiling just above the wall. If the rod is caught or stopped by an obstacle within the wall, usually, spinning the rod so that it swivels can help the rod to work its way around the obstruction. Next, attach your cable to the end of the rod that's sticking out above the wall then pull the cable down the wall until there is enough sticking out of the cut-out to terminate the cable.